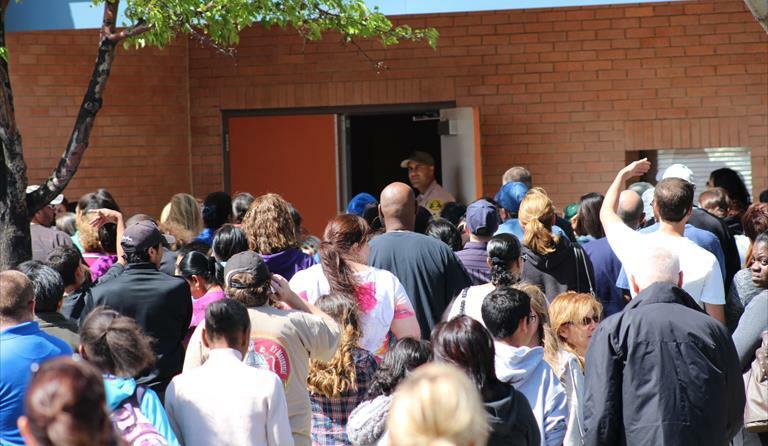 PALMDALE – The Palmdale School District will be conducting a district-wide Disaster Preparedness Training on Friday (June 7). All school staff will participate in this annual disaster preparedness training along with their students, the District’s Incident Response Team, and LA County Sheriff’s Department to increase their knowledge and skills as mandated disaster responders. The focus of this year’s training will be on student release, should it become necessary to release students early from the school in an emergency. Training in these procedures is vital so that students will know what to expect when an emergency arises resulting in an early release. Providing information to parents on these procedures is an essential part of the emergency plan so that parents know what to expect when an emergency release is necessary. In the event of an emergency that would require an early release of students (such as an earthquake), an orderly procedure has been established by the District for parents or guardians to safely reunite them with their student(s). Parents and guardians should expect to show photo identification in order to pick up students. Only adults listed on the student’s emergency card will be able to pick up students, so it is imperative that parents keep emergency cards updated with names of local adults authorized to pick up their children. If parents are unable to retrieve their child(ren) immediately, parents can be assured that their child(ren) will remain at the school or designated evacuation location and will be under the care and supervision of the school staff at all times. The goal is to inform parents of the release procedures so that they will understand their role in our emergency response plan to expedite the reunion process with their child(ren). Parents and community members can learn more about the Incident Command System used by Federal, State and local agencies by taking the online course titled “Introduction to Incident Command System for Schools”. View it on the FEMA website at http://emilms.fema.gov/IS100SCA/index.htm. 4 comments for "PSD disaster drill to focus on student release"
PSD administrators have no freakin’ clue what they are doing. It’s a worthless dog and pony show. “The Palmdale School District will be conducting a district-wide Disaster Preparedness Training on Friday (June 7). So, how does this work if my daughter’s last day was today, June 5th??? Your school is in the Westside School District not the Palmdale School DDistrict. I see, okay.. that makes sense. I read the story and saw the picture of Hillview and didn’t make the connection. Thank you.